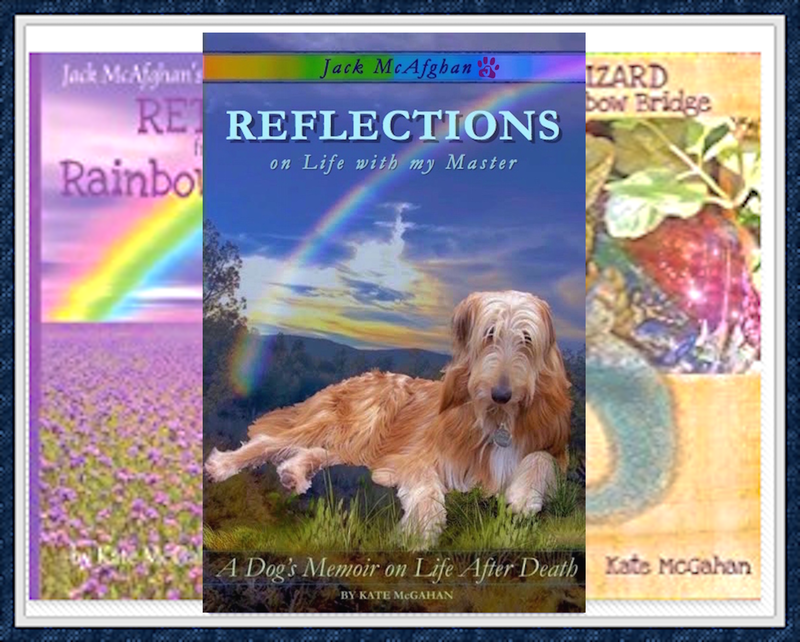 Kate McGahan: Life is the School Love is the Lesson: Dear Jack: I Was Told That Pets Don't Go To Heaven. Could This Be True? 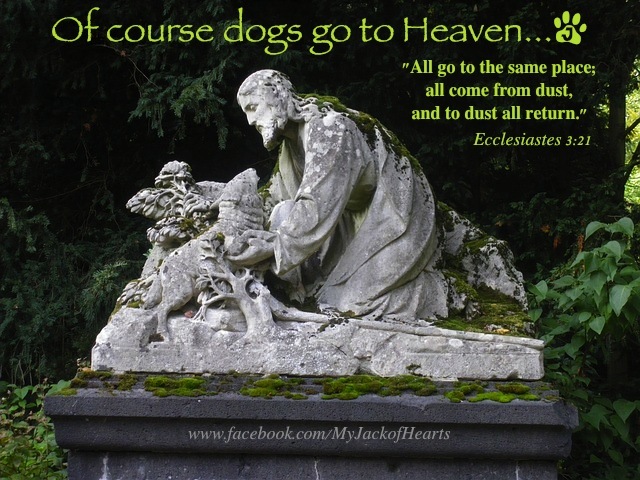 Dear Jack: I Was Told That Pets Don't Go To Heaven. Could This Be True? I'm so sorry to bother you during your holiday but I'm heart broken. I've just been told pets don't go to heaven because they are all liars and deceivers. Your book still hasn't arrived yet and I'm desperate for evidence that this isn't true. You are the second person this morning to ask this question. There are many people who claim to be "religious" but who do not even seem to believe in Heaven. I once posted a post on a God-Oriented Facebook page and the Admin called me a liar and a sinner. 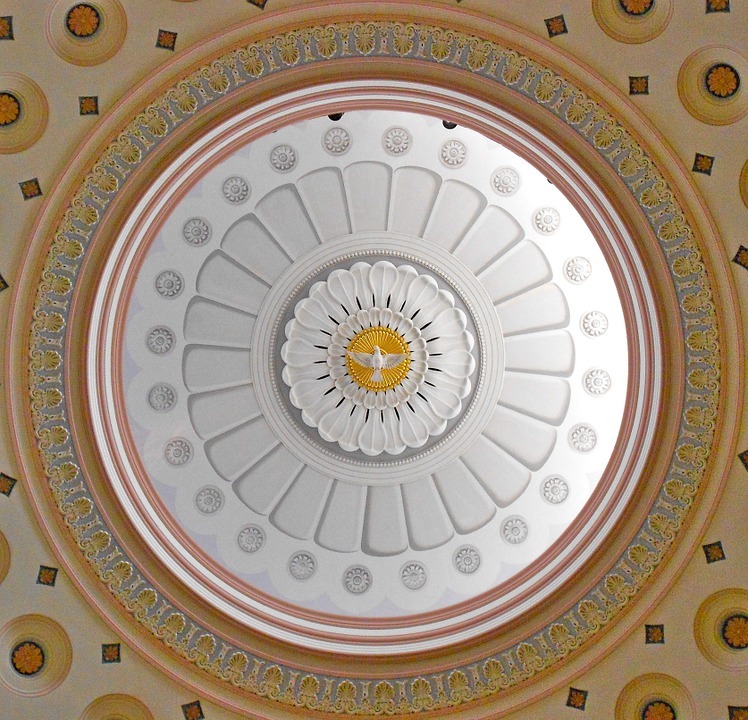 I was awestruck. Taken aback. Me with my pure heart that comes from a deep love and reverence for God, my true Master. They even told me that Heaven does not exist! In their bible it is called "paradise." 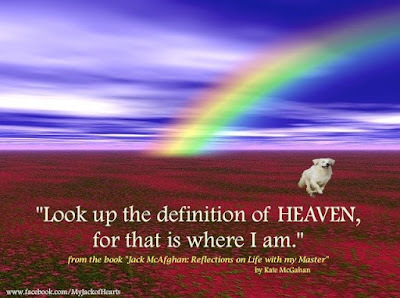 For them, heaven means something else altogether. Everyone is entitled to their opinion and there are reasons that those with strong opinions have them. Their lives taught them what they now believe. Maybe their parents raised them with certain beliefs that are now ingrained in them. Blessed are they who know their own minds, live from the love in their hearts and do not condemn anyone for their personal beliefs. Indeed, it is tragic when someone who is trying valiantly to heal the grief over the loss of a pet, is told "Pets don't go to Heaven." If someone believes this, fine, but they should not hurt someone else by impressing their opinion onto the one who suffers, thereby making them suffer even more. You have experienced this firsthand. Sometimes "religion" causes a great deal of separation between people who would love and honor and respect each other if only they were not labeled and judged and condemned for their innocent beliefs in the name of religion. I don't know what "bible" they are reading, but if they would read most versions they would know that Ecclesiastes talks about all animals and creatures going to heaven/afterlife, yes perhaps called paradise. Even St. Francis of Assisi (a SAINT who is most well respected and honored) spent his whole life caring for the animals and helping them across the bridge when it was time to go. You will read about all of this in my book. In the meantime, you must be vigilant about your response to someone who is expressing their opinions to you. Do not take their opinions to heart. Make yourself so strong that you have your own healthy opinion and faith and let no one shake you from it. My book will help you with this too. If you have a bible handy, read some Ecclesiastes while you are waiting for me to come into you postal box.